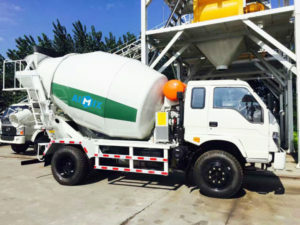 Truck mounted concrete mixer sale, as its name implies, its cement mixer drum is on a chassis, which is a special machine used to mix and transport concrete. 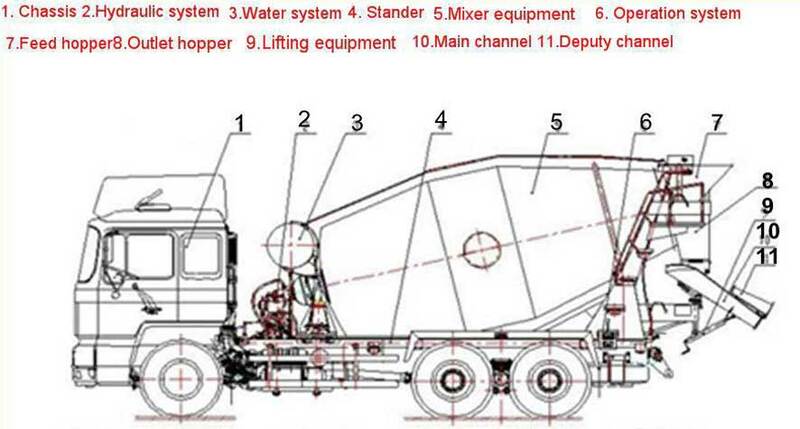 And its two main components are concrete mixer drum and chassis. 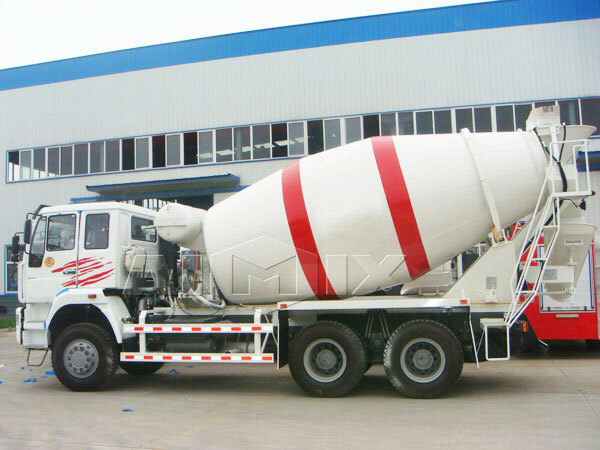 The whole mixing process is conducted in the concrete drum. 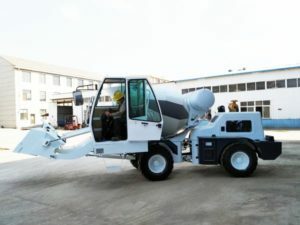 What’s more, in the cement drum, sand, gravel, cement, aggregate, water and so on raw materials will be stirred, blended and homogenized, of course, raw materials can be customized according to the construction condition and the demands of users. Our products have features of humanization and standardization. 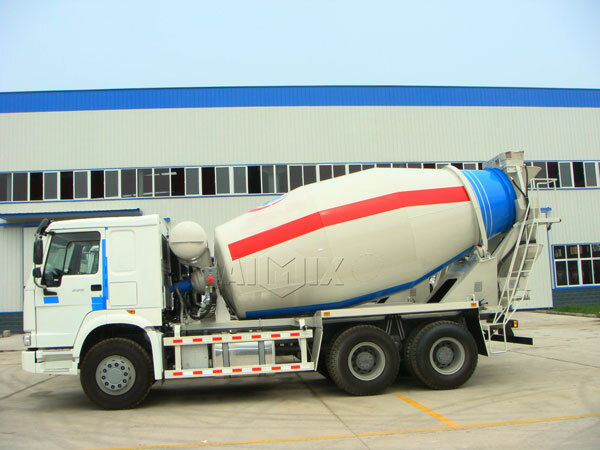 During the mixing process, it can achieve feeding control, discharging control, mixing control and other manual or automatic control. 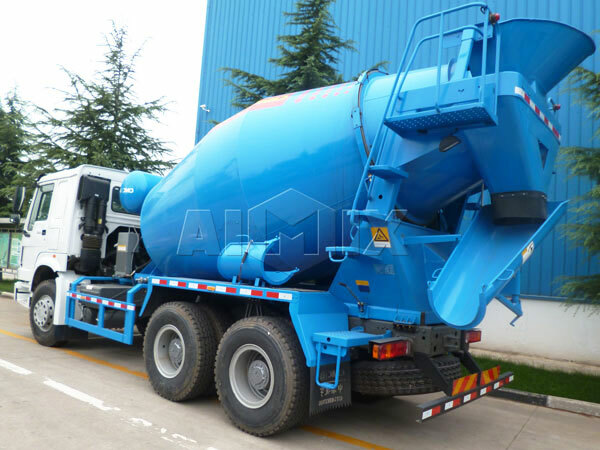 Our cement mixer drum is made of mixing tank body, the drum cover, blender, supporting device, transmission device and shaft seal device, in addition, if necessary, it can be equipped with heating device or cooling device according to the requirement of process. Materials for these parts can choose carbon steel and stainless steel. Generally, we use quality steel from WISCO or Bao steel. Different thickness for different parts, wear strips added on the blades, making the service life 1.5 times that of most other similar machines. Furthermore, tank body and drum cover can adopt flange seal connection or welded connection. On the top of drum cover is equipped with transmission equipment(electric motor or reducer), the blender is driven by the transmission shaft. Moreover, seal device can adopt mechanical seal, padding and labyrinth seal, etc. Due to the different production process requirement of users, paddle agitator, anchor agitator, frame agitator and spiral agitator are available. If there are other requirements, please contact us as soon as possible. We will customize a most proper one for you! 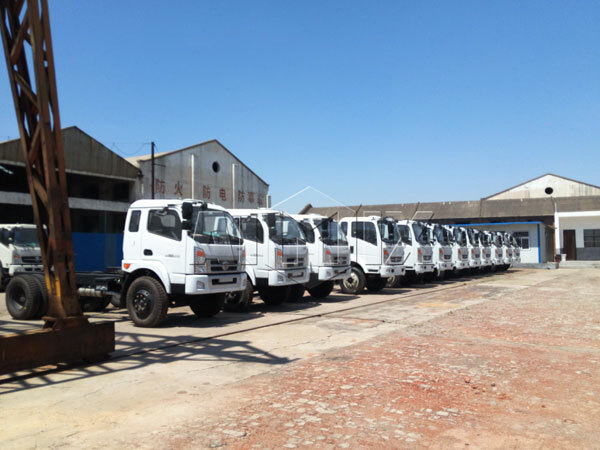 As for chassis, we mainly use Dongfeng, HOWO(Sinotruk), Shaanxi Auto, North Pennines, Isuzu, Foton and Delong. 1. Money-saving. A diesel engine is cheaper than petrol engine, at the same power, diesel cars cost 30 to 50 percent less than gasoline cars. 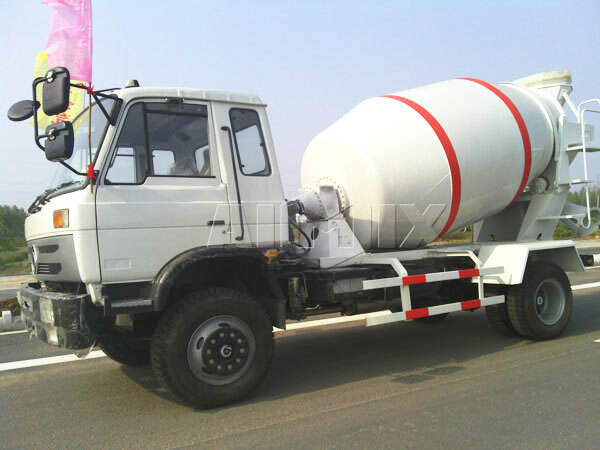 Therefore, diesel engine truck is very fuel efficient. Most importantly, the price of diesel is low and stable. 2. Diesel trucks are more powerful than gasoline trucks. Diesel is twice as dense as liquefied natural gas, and is 10% higher than petrol. Compared to petrol, diesel oil is not volatile, large power and high ignition, which is not easy to be ignited or blast, economical efficiency of diesel engine is a third more economical than petrol’s. in addition, the ignition type diesel engine has higher energy conversion rate than the ignition type gasoline engine, energy consumption is 45% to 60% of gasoline engine. And service life of diesel truck is longer than petrol truck’s. Because diesel engine has good lubrication. 3. 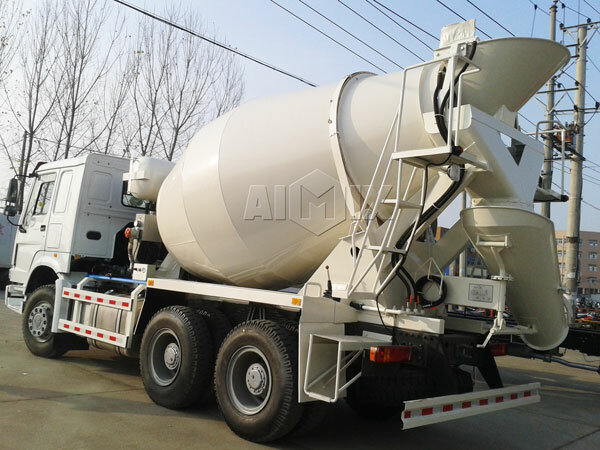 It is very convenient to refuel the diesel truck mounted concrete mixers for sale. In some mountainous areas, there is no high label petrol, while diesel is very universal, most gas stations are supplied with diesel. 4. 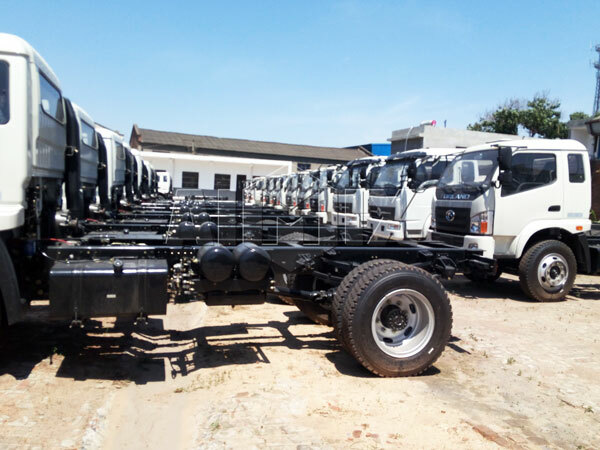 Diesel truck has simple structure and is easy to maintain. As long as you use regularly, it can’t be maintained for a long time. Moreover, for structure, unlike gasoline engines, they have complex electronic devices, which is convenient to maintain and repair. 5. Reliable performance. Diesel engine is a compacting work, don’t need a high ignition system, besides, the fault rate of diesel car is much lower than gasoline car. 6. Less pollution. Our diesel engine is equipped with advanced tail gas treating unit, which can effectively control the emissions of nitrogen oxides and particulate matter. 7. Diesel turbine engine design is simpler than gasoline engine’s. When design turbo gasoline engine, the designer needs to think about whether the tank will explode because of high pressure, while diesel engine can stand greater pressure, just need to consider the top strength of the box. 8. Diesel engine has low requirement about fuel, it can burn synthetic fuel, while gasoline engine can’t, if burn those fuel, it will cause great damage for engine and supporting parts. 9. Diesel engine can produce bigger torque. 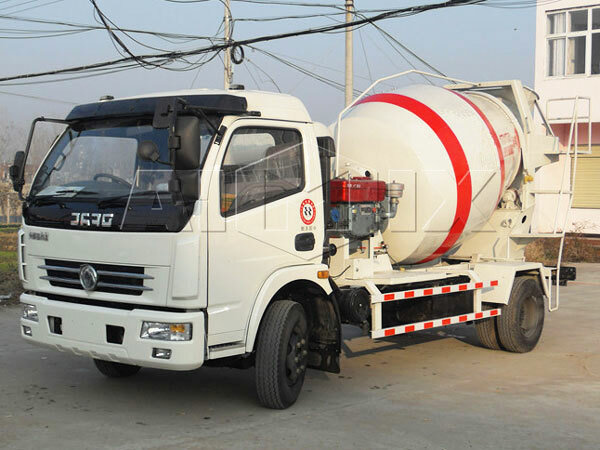 When in a low speed of rotating, diesel engine is good for improving fuel efficiency of the trailer concrete mixer. 1. The operator should master the condition and learn about the whole situation in time, make a reasonable and detailed maintenance plan and provide instructions and supervisions on maintenance operations and procurement activities to prevent unnecessary maintenance and cost waste. 2. Increase the system of machine management, establish and improve rules and regulations for machine maintenance, put an emphasis on machine management. Improve the data statisitics system, record the faults. Strengthen supervision over purchasing, processing accessories and other work, ensure the quality and quantity of machine parts. 3. Strengthen the maintenance of equipment. Improper maintenance and operation will result in the fault of equipment. 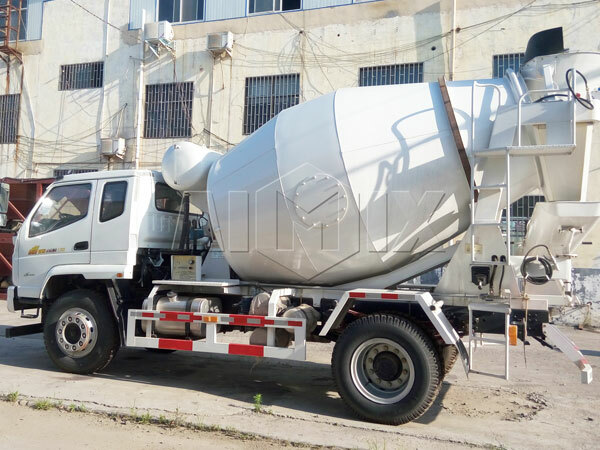 Should develop effective maintenance plan, and train the operator, always check the implementation of the maintenance and ensure the normal work of truck mounted concrete mixers sale. 4. Strengthen daily inspection of the equipment, should record inspection results in detail. The record should not only include past maintenance log, but also includes daily use and amount of work in order to analyze the fault, timely and accurately eliminate potential failure. 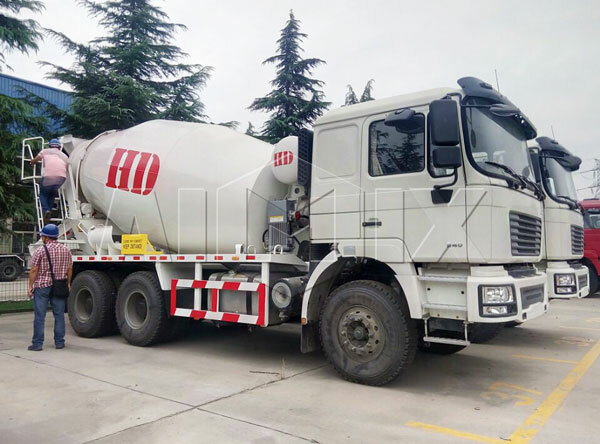 We are professional truck mounted concrete mixer company, and we mainly have types of 3m³ to 14 m³ for your reference, furthermore, we have small truck mounted concrete mixer, which has characteristics of small volume and high productivity. 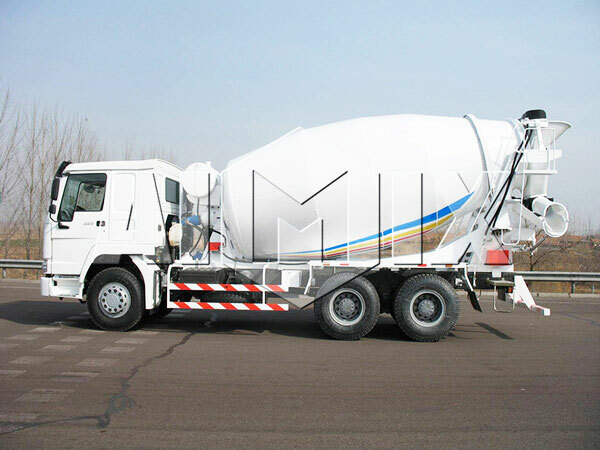 In addition, there is cement mxier trailer for your reference, which is also driven by diesel engine. 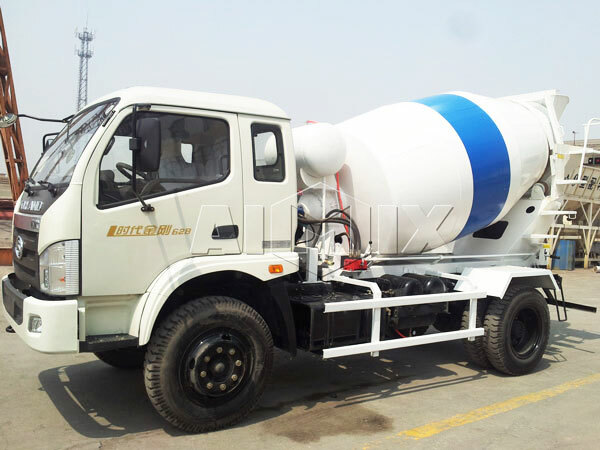 If you are looking for a proper concrete mixer truck, contact us now! We will give you the best service and the most competitive price.